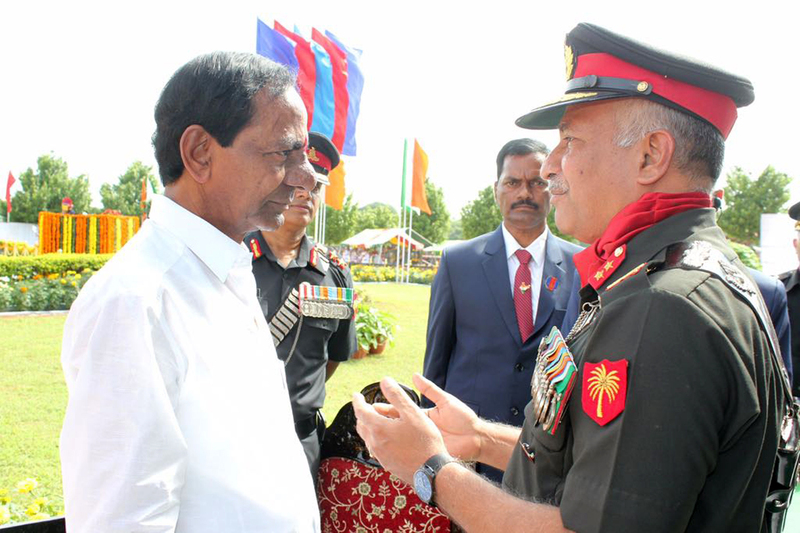 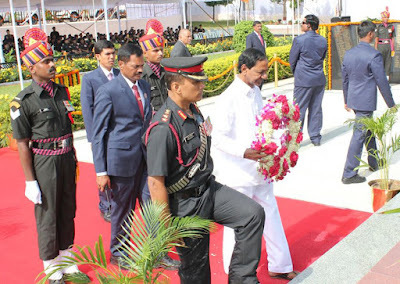 On the occasion of the 71st Independence Day, Hon’ble Chief Minister of Telangana, Shri K Chandrasekhar Rao laid a wreath and paid homage to the valiant martyrs who sacrificed their lives for the Nation at Veerula Sainik Smarak (War Memorial) here today. 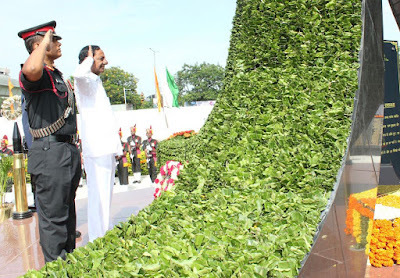 Prior to this, a number of senior Armed Forces officers including Major General N Srinivas Rao, General Officer Commanding (GOC), Telangana and Andhra Sub Area (TASA), senior officers from Air Force, Navy and veterans also laid the wreaths at the War Memorial. The ceremony was graced by a large number of serving, retired personnel and their families.